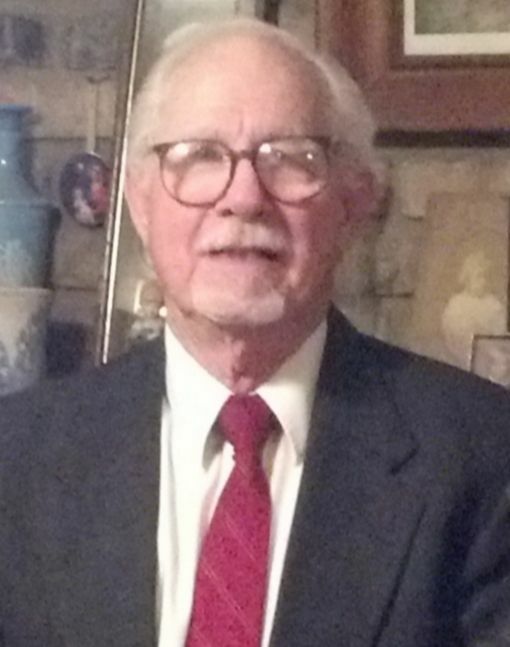 Funeral services for Hugh “Buz” Roland Craft, 80, Wills Point, are scheduled for 10:00 am, Tuesday, June 19, 2018, at Hiett’s LyBrand Funeral Home Chapel in Wills Point. Burial will follow at White Rose Cemetery. Hugh Roland Craft was born April 26, 1938, to Henry Logan and Marguerite Craft. Buz was a lifelong resident of Wills Point. He served his country in the United States Marines. He attended North Texas University and El Centro College. Buz graduated with a master’s degree from Southern Methodist University. He commuted to Dallas where he worked as a fireman for the City of Dallas, retiring as Captain in 1989. Buz was so much a part of the history in Wills Point and the community benefited from his commitment and invigorating presence. He was a member of the Wills Point Historical Society, the Wills Point Masonic Lodge, President of the Poetry Society, founder of the Blue Bird Festival, and served on the White Rose Cemetery Board. He was instrumental in the monumental task of moving the Wills Cabin and was very active in the preservation and upkeep. He was a singer and song writer and wrote and produced many plays for the Wills Point Theatre and authored a number of books. Buz was also a lifelong member of the First Christian Church in Wills Point. He wrote many songs and some of them are published in the church songbook. Buz was named Citizen of the Year in 1987 and Outstanding Man of Van Zandt County in 2000. He is preceded in death by his parents, as well as, three sons, Jeffery Craft in 1989, David Craft in 1969 and Scott Craft in 1978; and brother, Henry Logan Craft, Jr.
Buz is survived by sons, Blake Craft and daughter-in-law, Sheila of Rockwall, TX and James Craft and wife, Shae of Forney, TX; daughters, Alyssa Gail Chambers of Gunter, TX and Kelly Gonzales of Long Beach, CA; sister, Libby Jo Craft of Allen, TX; grandchildren, Heather Craft, Christopher Craft, Robert Logan Craft, Justus Rex Craft, Ashley Peebles, Cadey Reese Craft, Kylie Rhyan Craft and Case Garrett Craft; great grandchildren, Tori Burkham, Natalie Cooksey, Noah Peebles and Slade Peebles; and many other family and friends. Family visitation will be held from 6:00-8:00 pm Monday evening.